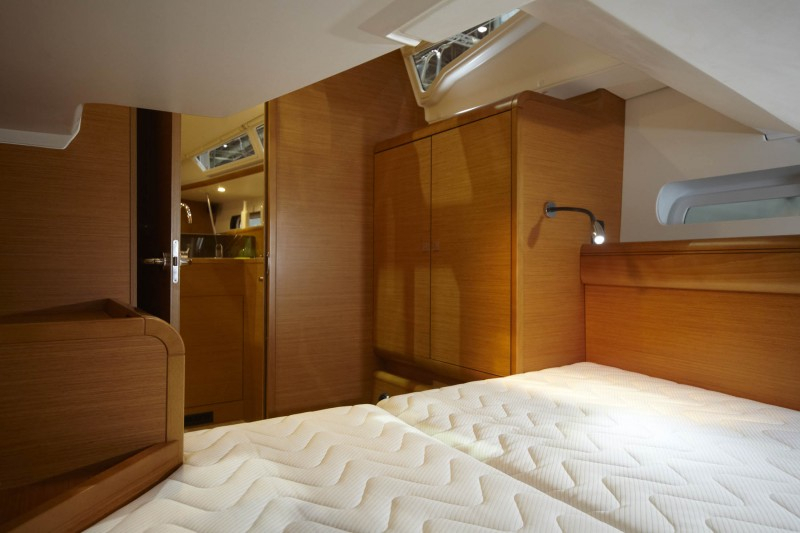 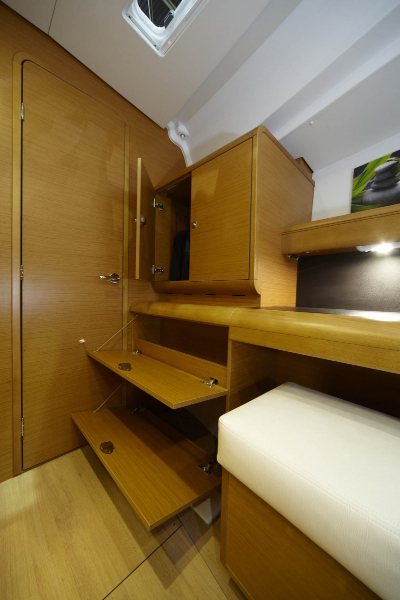 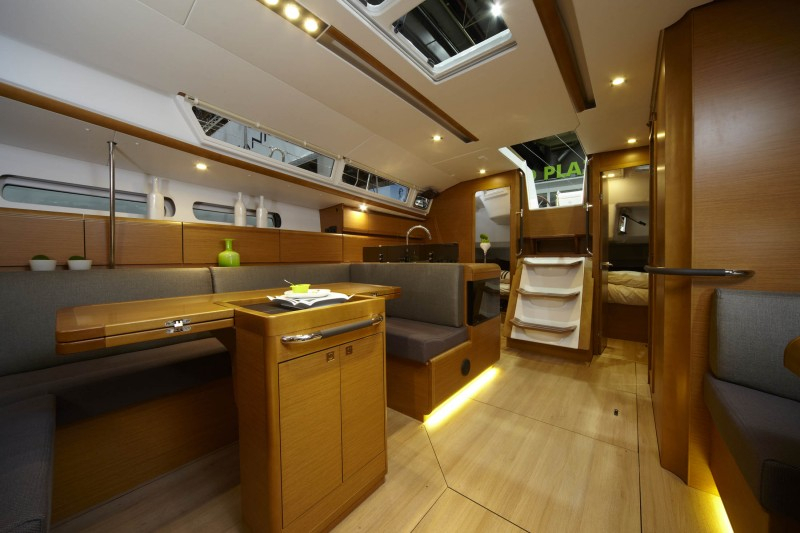 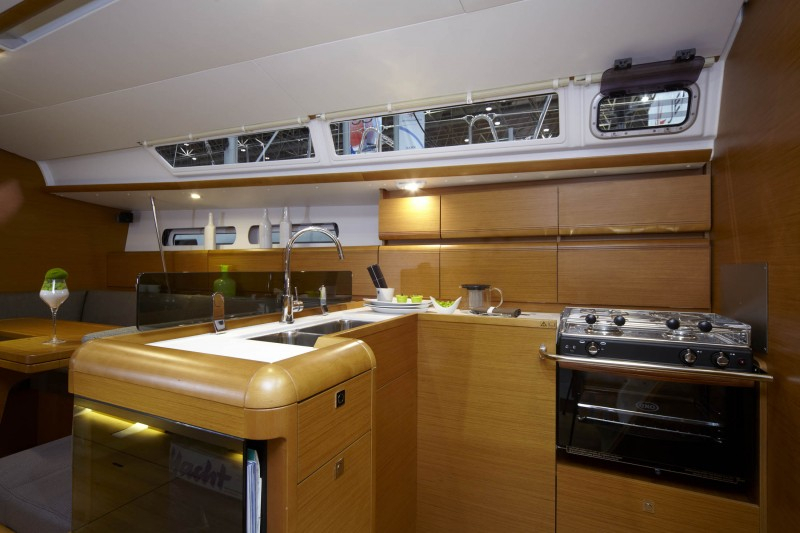 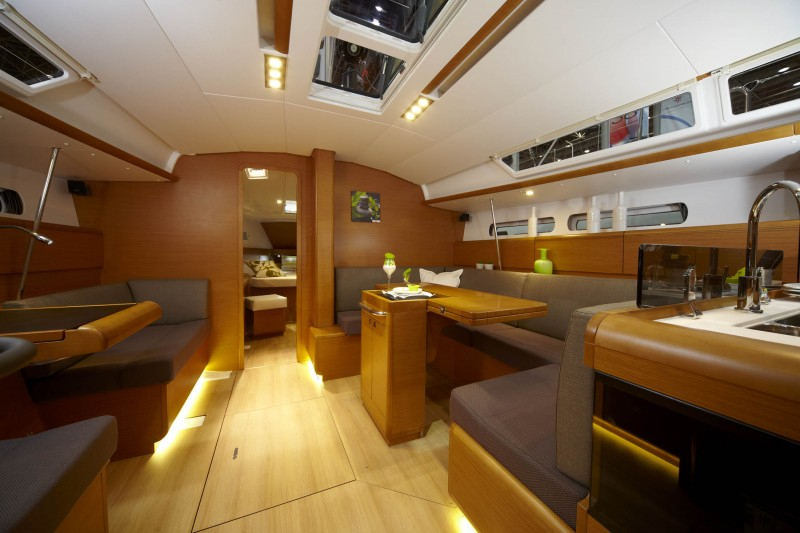 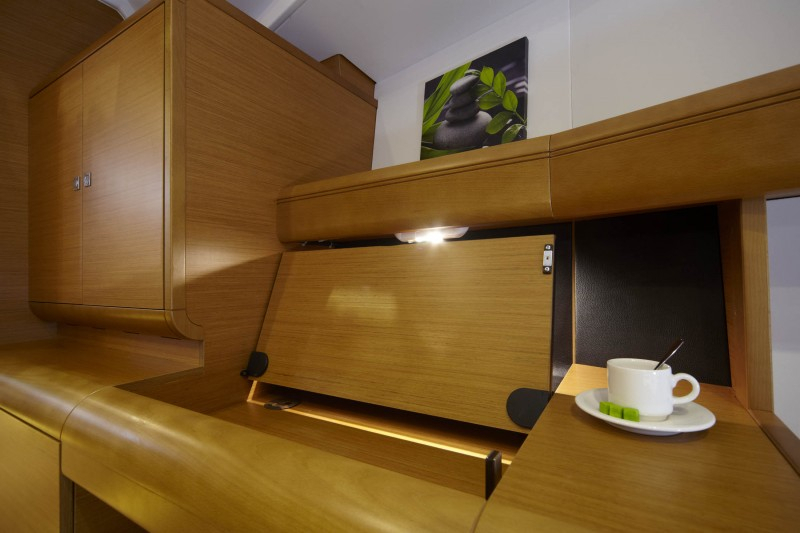 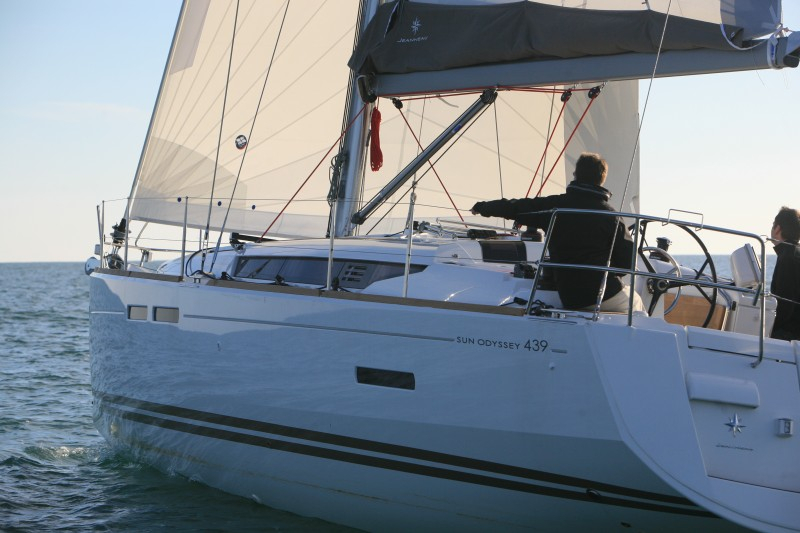 At first glance, the new Jeanneau Sun Odyssey 439 is clearly a Sun Odyssey and moreover, the all-new Jeanneau Sun Odyssey 439 reflects the latest design trend that started with the Sun Odyssey 409. 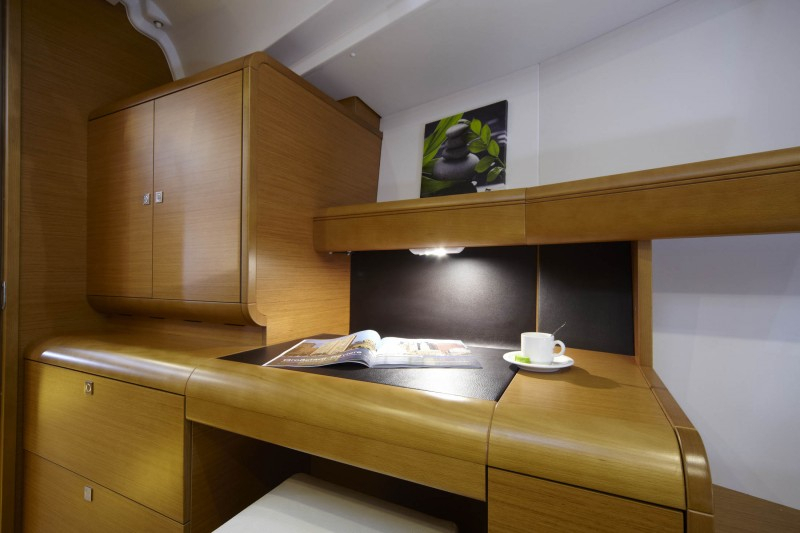 Dynamic lines, a hard chine on the hull, lots of hatches and windows along with bevelled edges on the deck combine to form a powerful and straight forward design from the pen of Philippe Briand. 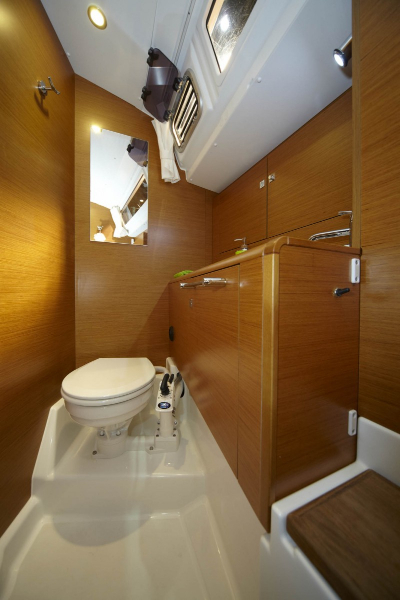 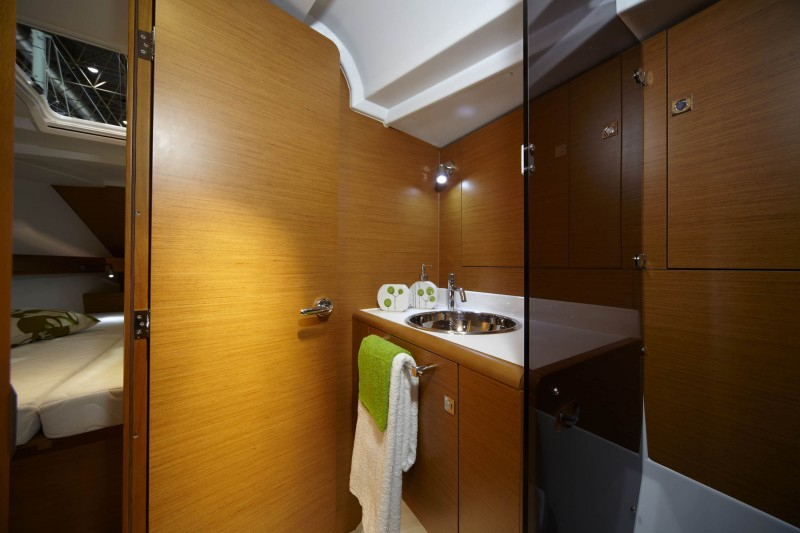 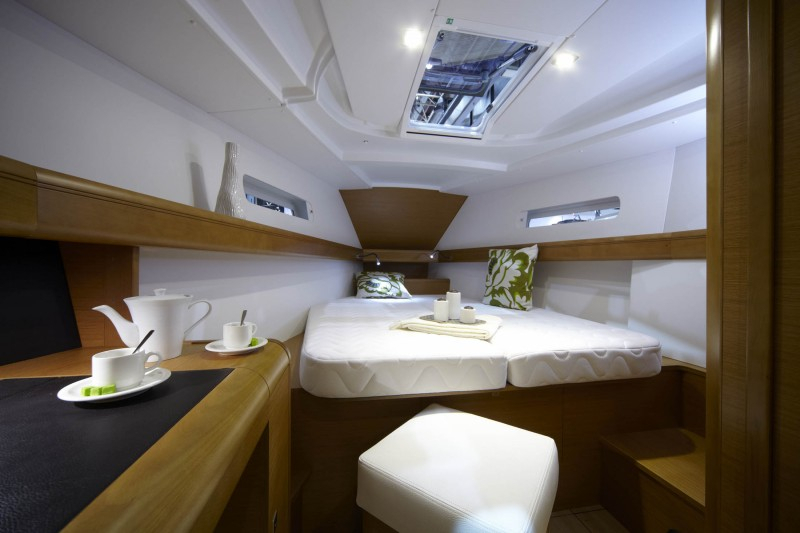 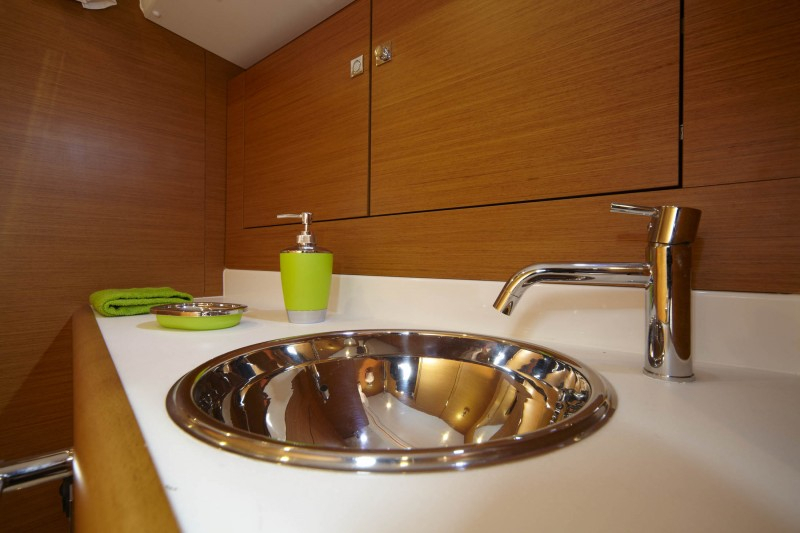 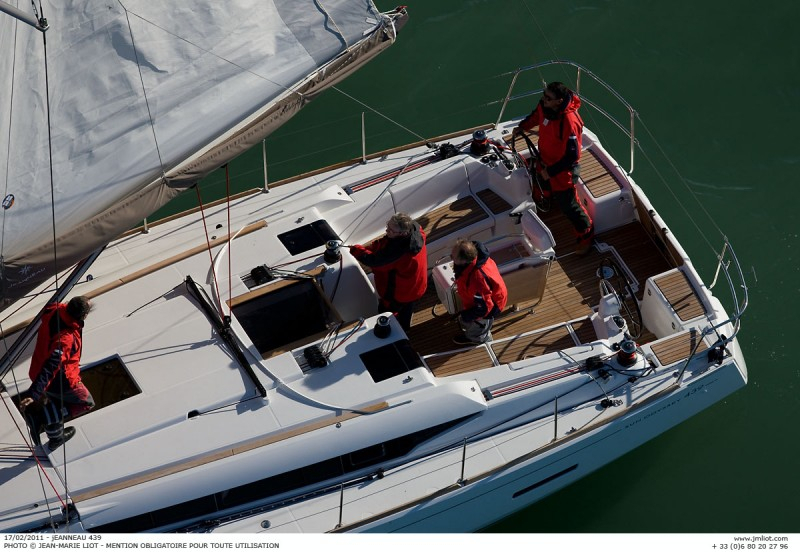 Her natural beauty is more than just skin deep, a closer look reveals an innovative deck plan that makes sailing easy. 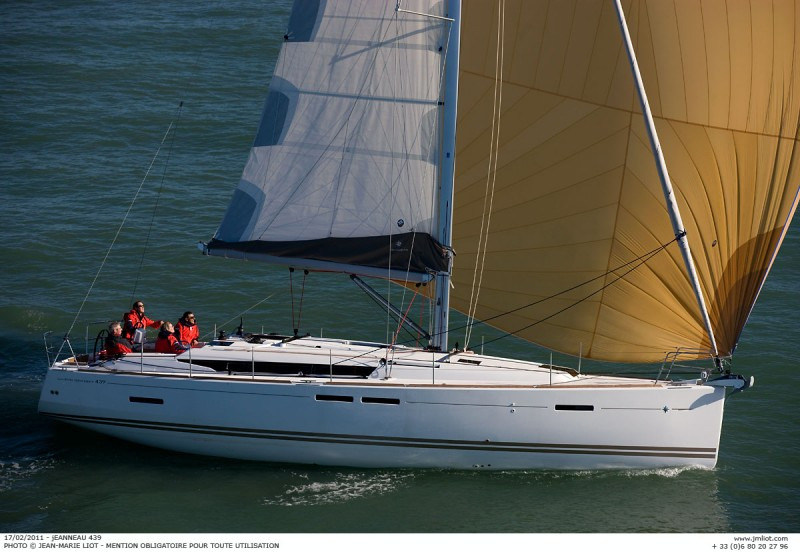 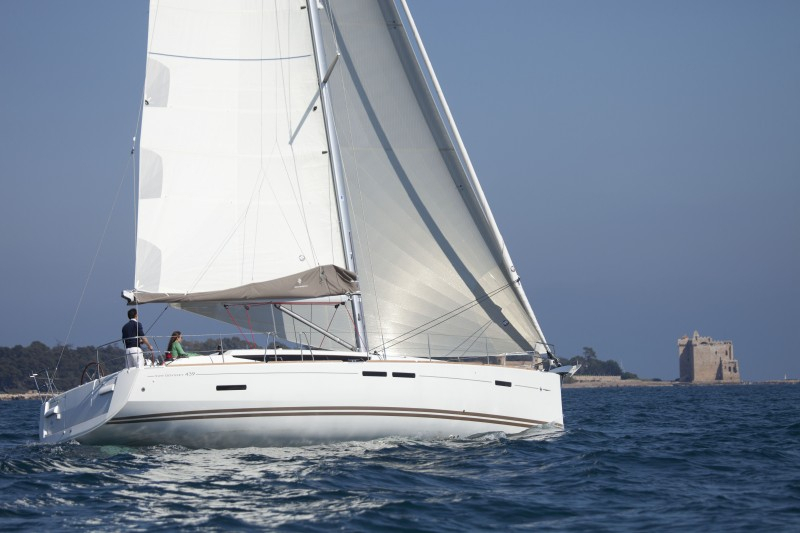 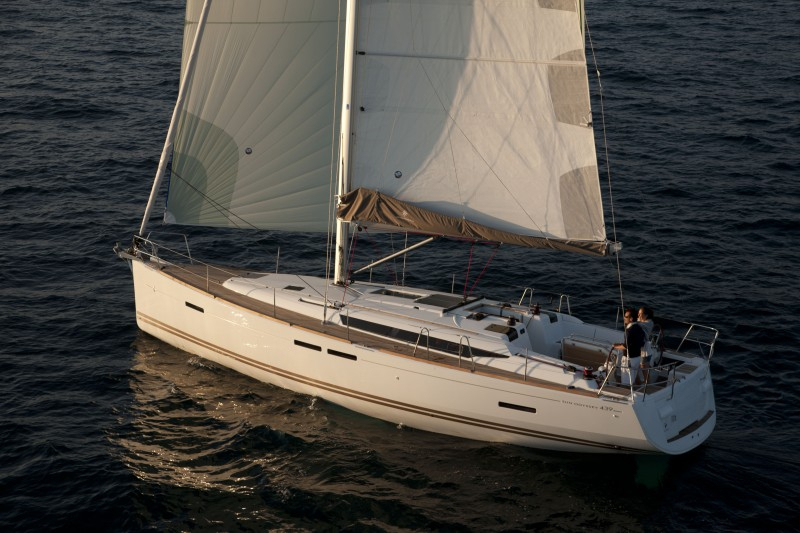 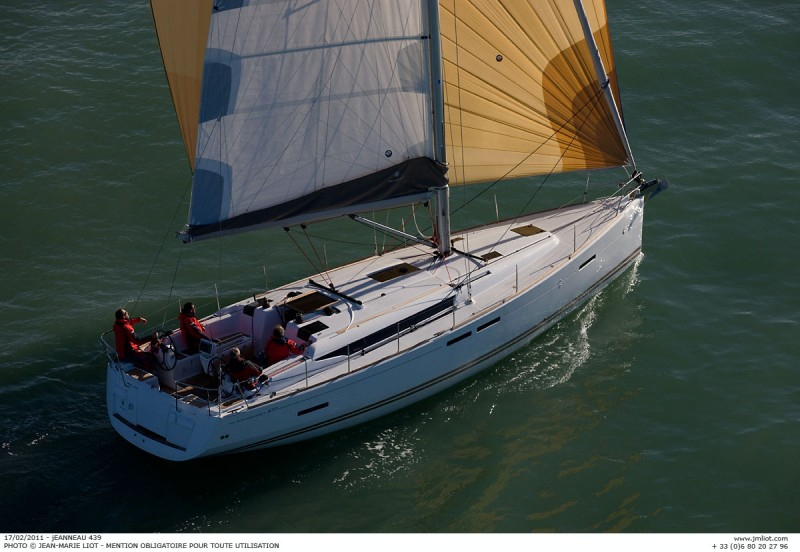 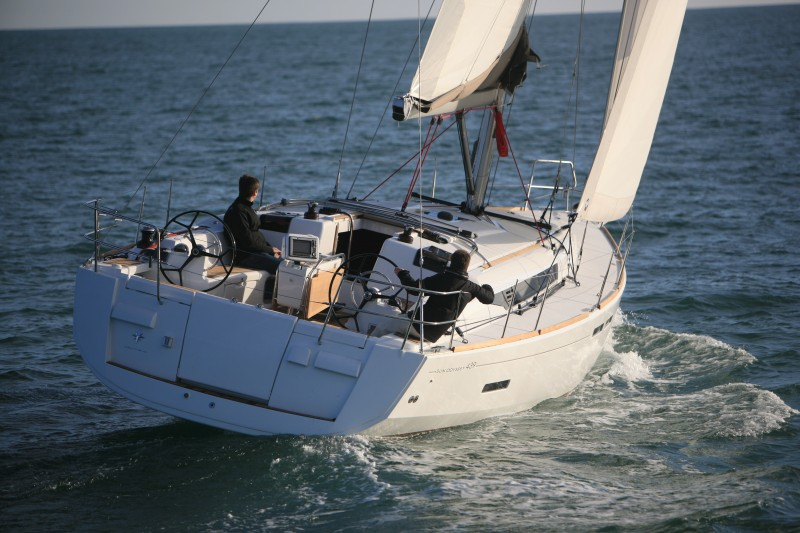 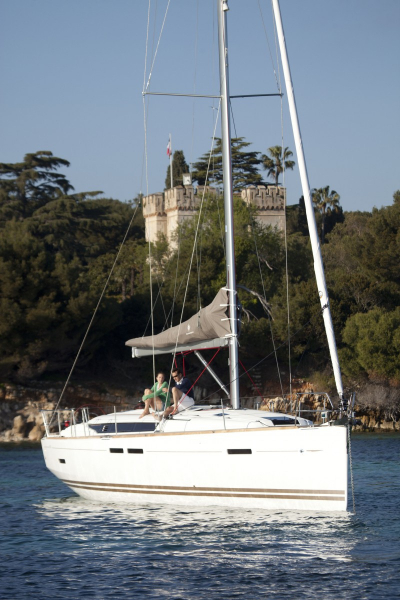 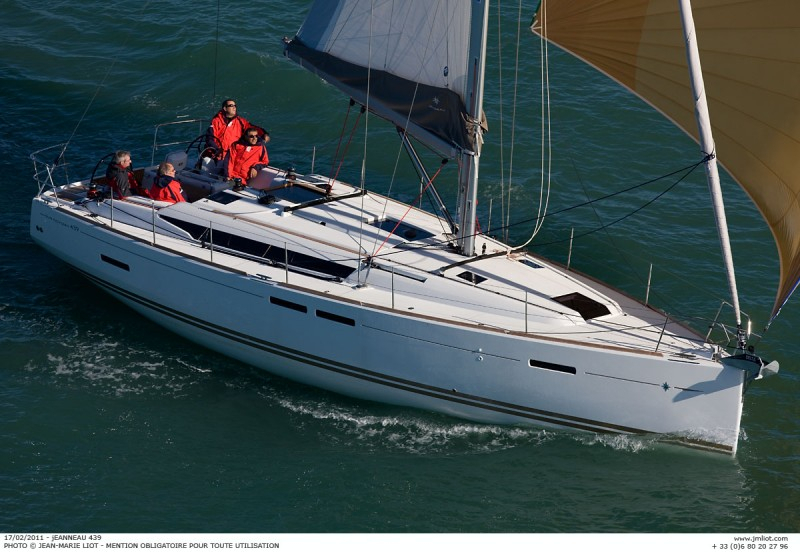 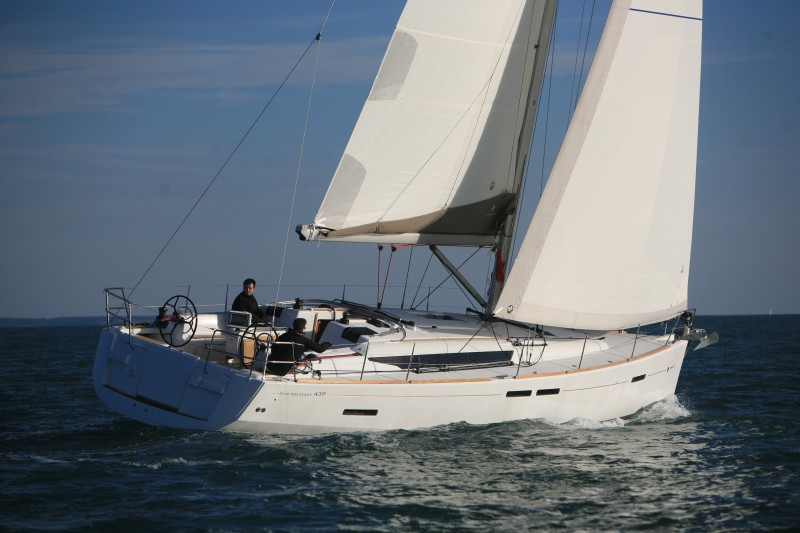 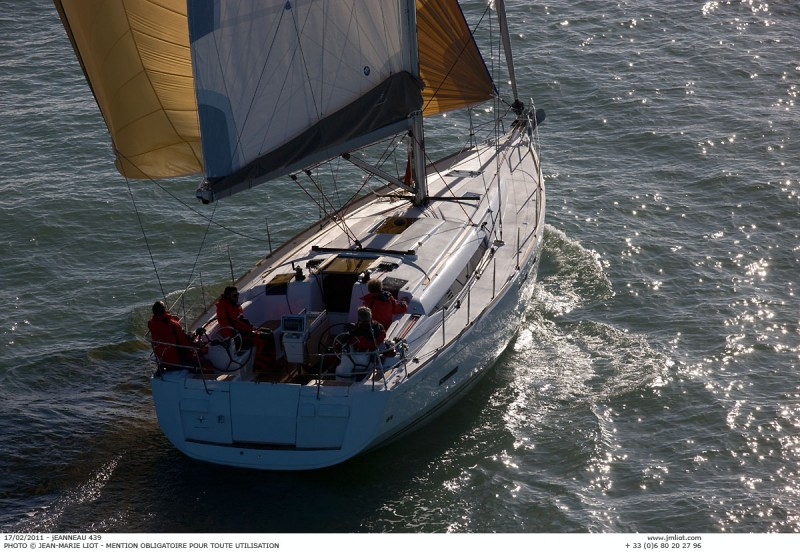 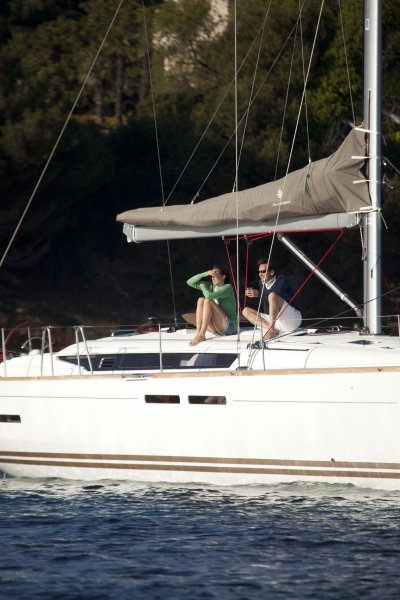 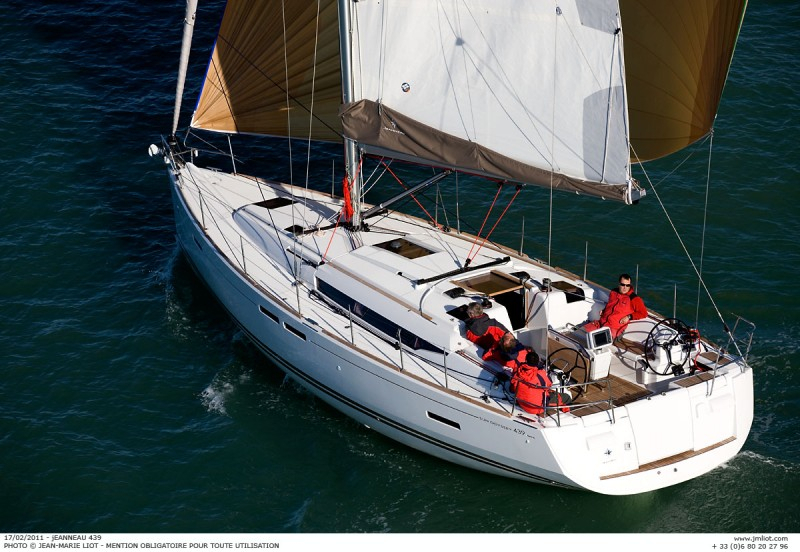 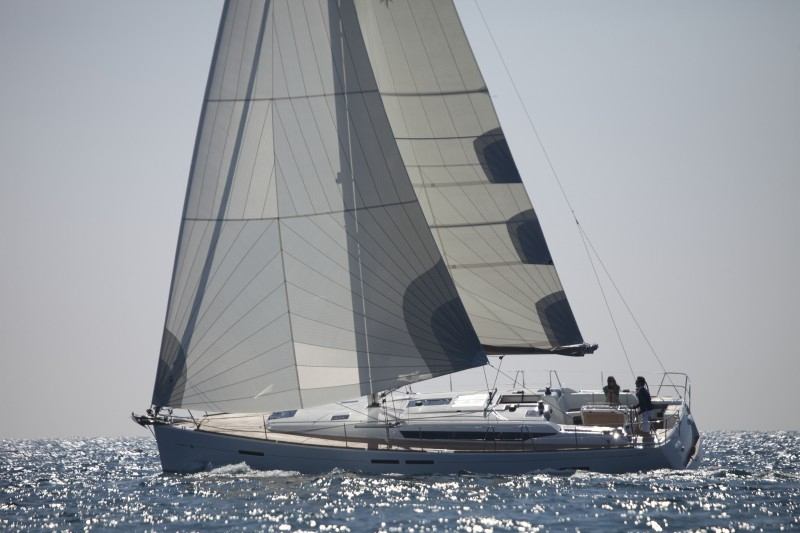 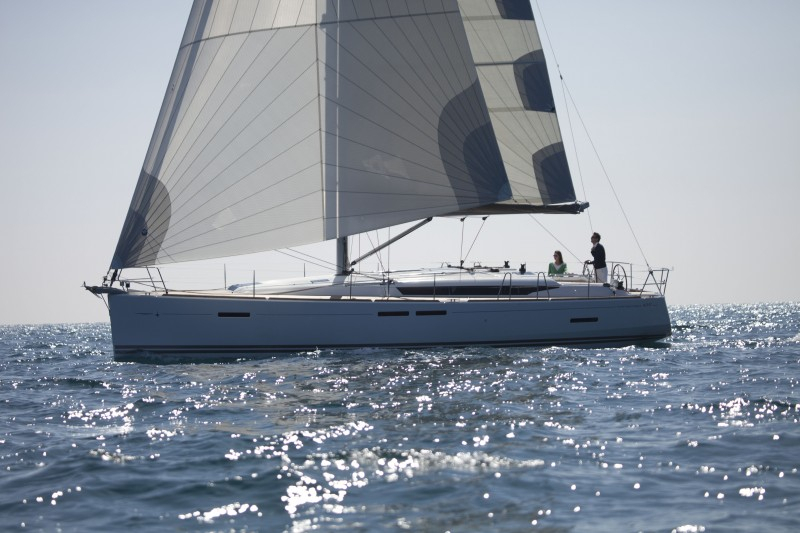 A Jeanneau is first, and foremost, for sailing and three main concepts shape the Sun Odyssey 439: a fast, seaworthy sailboat, simple to use deck and sail plans and a high-quality interior. 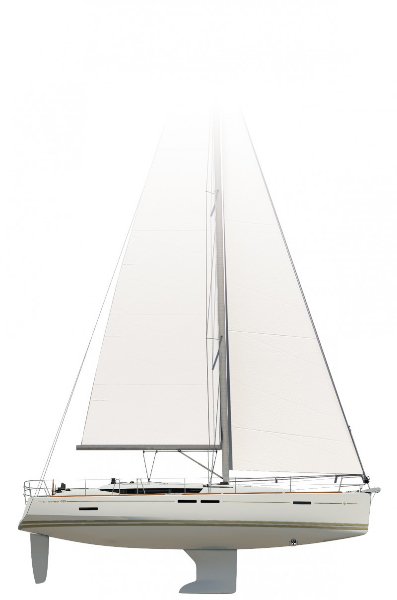 The modern and simple to use deck plan was the result of a complete rethinking of the ergonomics of sail handling. 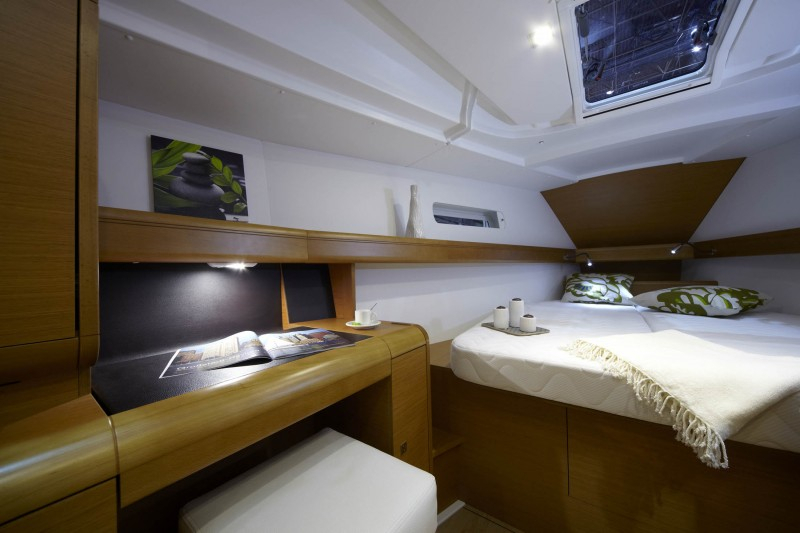 All the sheets are lead back to the twin helm stations which still remain uncluttered. 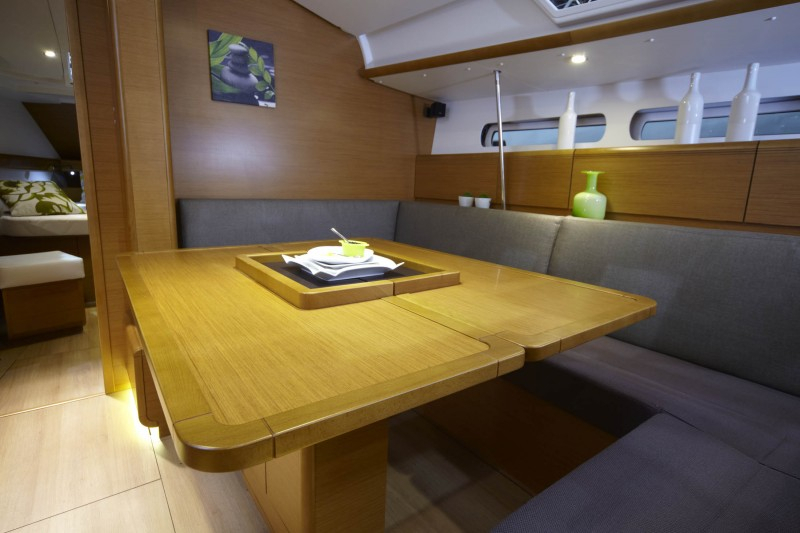 The centrepiece of the cockpit is the large, folding table perfect for entertaining. 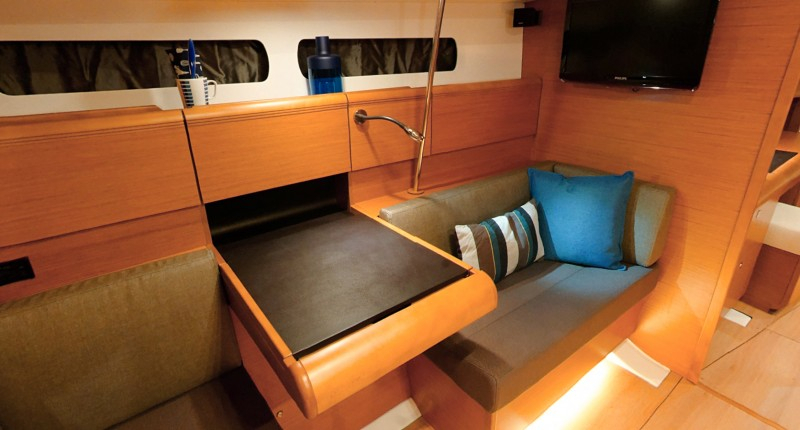 When closed, the aft bathing platform provides security to the cockpit whilst under sail and folds down when at anchor with stillness steel cleverly integrated swim ladder. 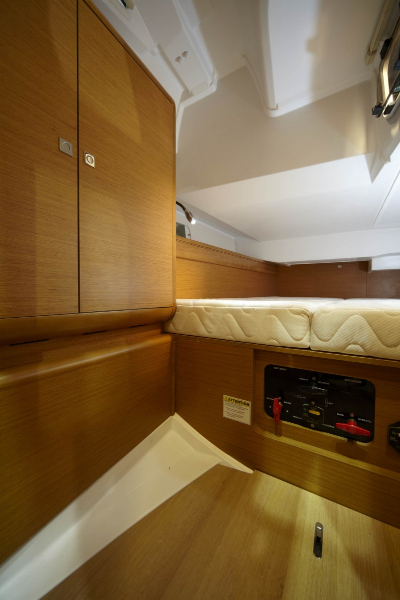 The new interior design is clean and beautiful with plenty of contrast between the rich wood finish, light headliners and high-end upholstery. 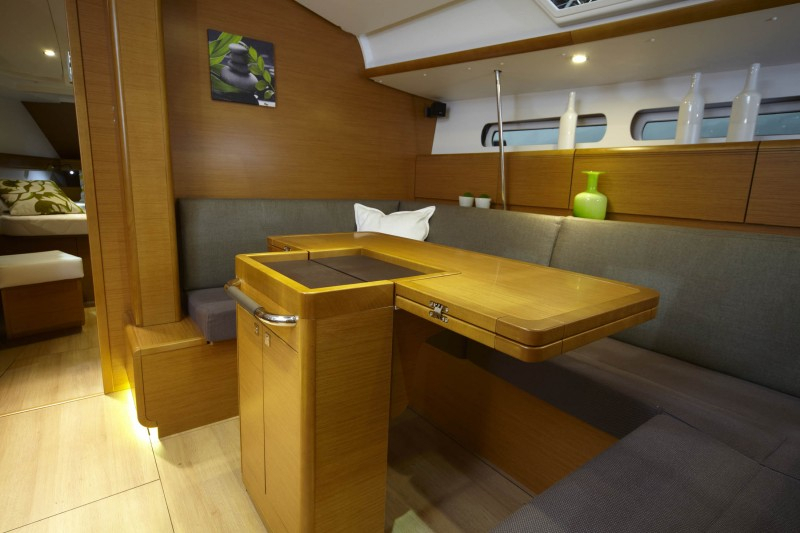 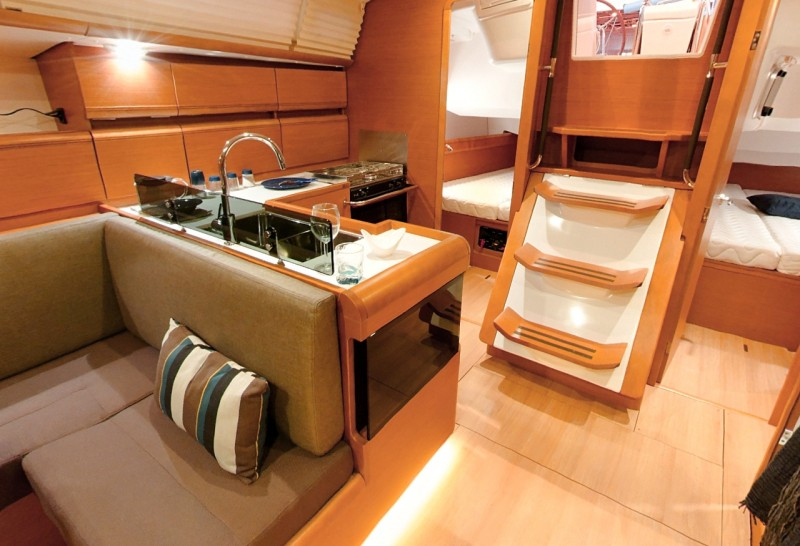 Leather-covered handrails and solid wood handholds create a safe and seaworthy interior. 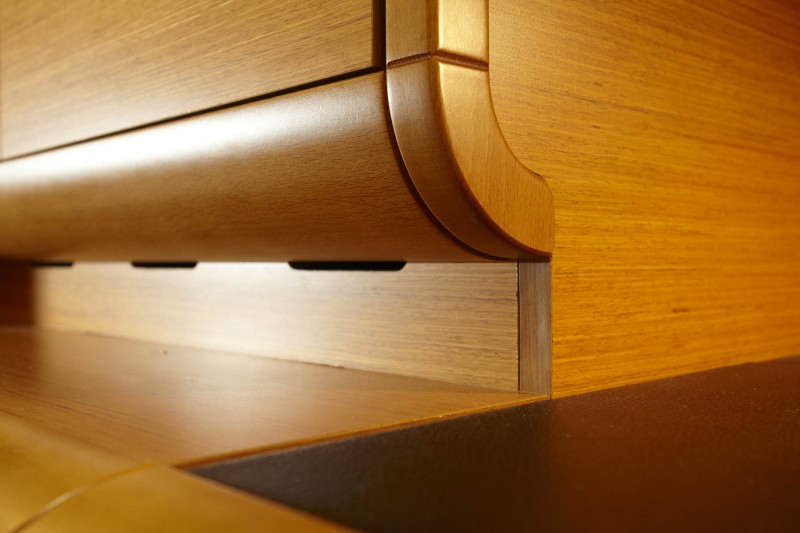 A choice of traditional teak and holly or light oak floorboards emphasise the rich wood interiors available. 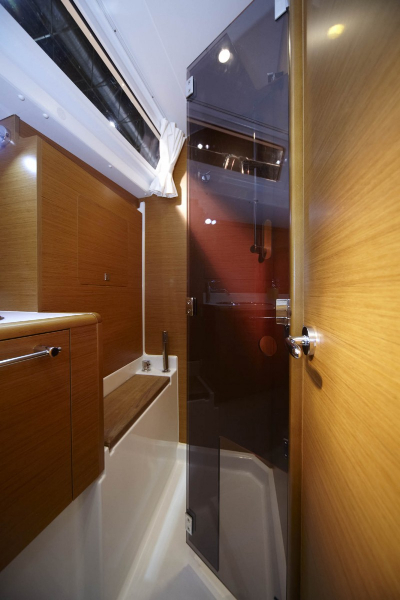 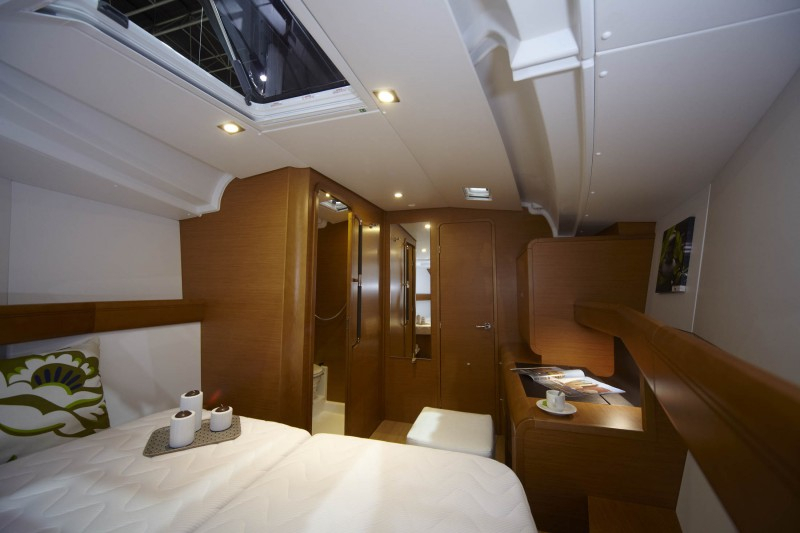 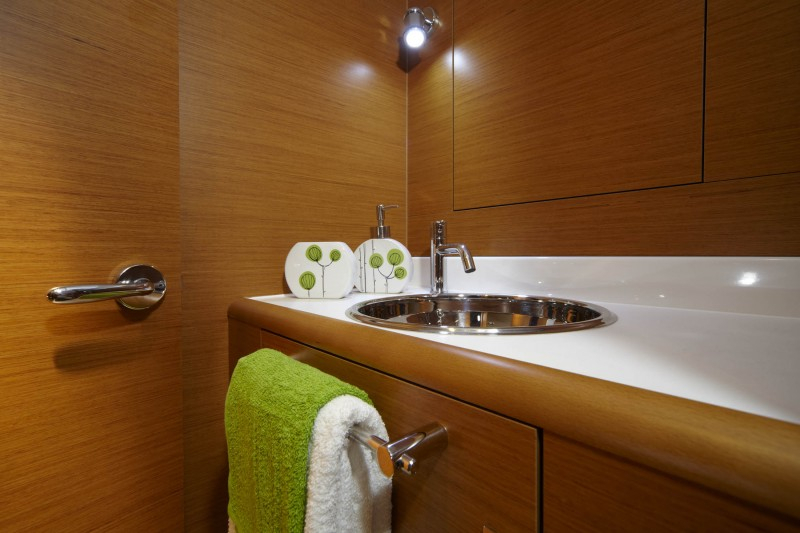 The exceptional visibility and light comes from the eight hull ports and eleven opening ports and flush deck hatches.